Get a high level overview of HTML and learn how to use it when defining events in Heap. In this self-paced course, we will introduce you to the basics of HTML and CSS selectors. HTML is one of the core building blocks on the web, and Heap uses this HTML to differentiate all of the events that we auto-capture. The content that we cover in this course won't make you a webmaster but it should give you a better understanding of how Heap works, and how you can write your own event selectors in Heap. 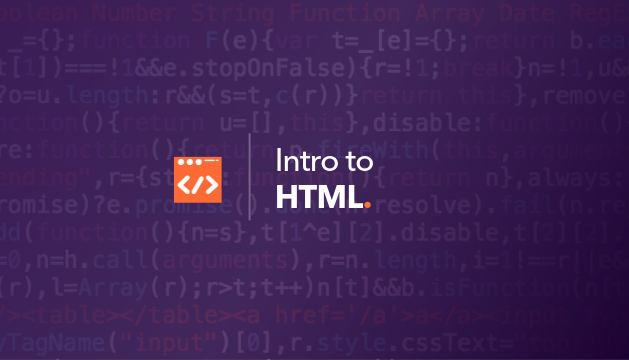 During this course, we will cover the basics of HTML, and go into detail into two of the most common attributes used in selectors: IDs and Classes. Finally, you will learn how to take this new insight and use it to write your own event definitions in Heap.